Two nights ago, I fulfilled one of my most bromantic dreams when I shared a steak dinner with the new IWC ambassador, Bradley Cooper. Me, the guy from all those great movies, a bottle of Malbec and some delicious eye fillet. Perfect. The fact that there were at least 500 other people dining, and that my table was several hundred metres from Brad’s was irrelevant. And as to that point that few, in fact no words were spoken between us? Mere details. On paper, it was steak night with Coops, and Aloe Blacc kindly turned up to sing to us. 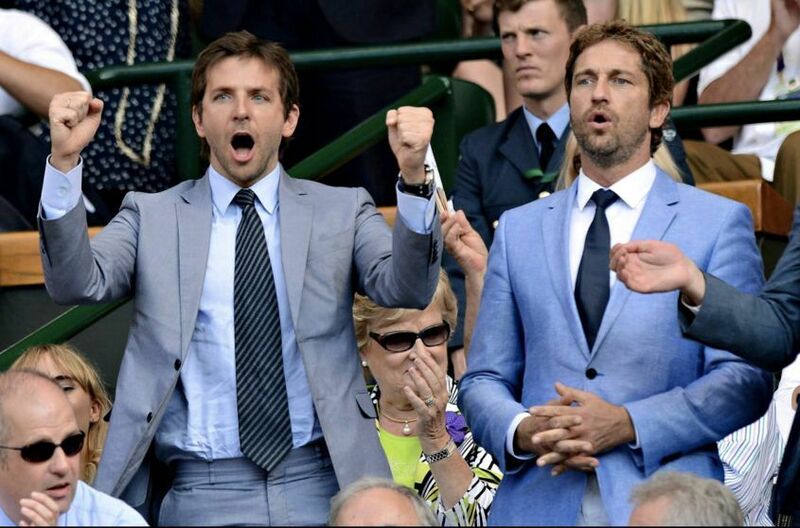 Who is Bradley Cooper to me, really? Well, several sight-challenged people have commented that, after they’ve imbibed several litres of wine, I look a little bit like him. So to people who really want to get on my good side, he’s my doppelgänger. But, jokes and very optimistic squinting aside, Bradley Cooper is the guy that’s been making me want a Big Pilot since I was in short pants. 2. The time Bradley Cooper leaned back on a table thinking about how much he loves his IWC Big Pilot. Image: Hollywood Reporter/Vanity Fair. Cooper has been a big fan, and big wearer of the Big Pilot for a very long time and is often spotted wearing his, both on and off the screen. Most recently our professional spotter Andy Green saw what looked like his personal watch on his character, Brian Gilchrist, in the 2015 film Aloha (where he starred alongside Emma Stone). It’s refreshing to see a celebrity ambassador with a genuine appreciation of a brand and it’s refreshing to see a brand recognise that and take it to the next level. 3. The time he, once again, proved that wearing an IWC Big Pilot with a suit is a boss move. We applaud it, Brad, it’s all you. Image: The Daily Mail. The Big Pilot has also been Cooper’s constant red carpet companion and is often paired with a suit. Hang it, Cooper’s clearly a one watch guy and he’s been snapped wearing it with just about everything. By way of demonstration, please enjoy this collection of pics which go all the way to a sun visor and bomber combo, something that I will now try on my flight home from SIHH. And, in case you’re wondering, my own Big Pilot dream starts and ends with this jaw dropping model right here. Gee, that blue dial would look ravishing with a satiny blue bomber. Lastly, it’s important to note that IWC didn’t choose Cooper as a brand ambassador solely for his love of the Big Pilot. Aside from his various philanthropic endeavours, CEO Christoph Grainger-Herr pointed out that Cooper’s pursuit of “quality and creativity” makes him the perfect fit as an IWC brand ambassador. This comes at a time when the brand celebrates a massive 150 years of handcrafted watchmaking. Of course, to mark the milestone IWC also released several limited editions (27 watches, across five different collections, in fact), which you can see live on the wrist here. 5. That time Bradley Cooper attended the premiere of Marvel’s Guardians Of The Galaxy at the Dolby Theatre on July 21, 2014 in Hollywood, California in his Big Pilot, looking pretty pleased with his watch. Source: Jason Merritt/Getty Images.